But let’s turn away from such infernal offerings, and move in a more paradisical direction. Thankfully, 2009 has also been filled with an abundance of excellent releases, and that’s where our attention should be fixed, beginning with the best EPs of the year. Chris Anderson’s most unexpected release to date finds him moving away from ambient textures into a cold, pointillistic electronic soundspace. Glitch is the grain of this music, sounding simultaneously artificial and organic, its component parts fretfully twitching around like a choir of Geiger counters. Anderson keeps a firm hand on proceedings, though, martialling the evolution process; each 1’50” track propels the material into new forms, culminating in a rich, surreal climax that is nothing short of triumphant. This is folk at its most delicate—which, fittingly, comes enwrapped in equally delicate, handmade packaging: behold. Autumn Richardson’s beautifully soft, wispy voice is at times almost painfully insubstantial, barely resting upon the surface of the surprisingly complex textures beneath her voice. In her hands, each song becomes a beguiling gossamer miniature, tapping into both parts of her nom de plume, laden with wistful melancholy and a distinct sense of loss. Steve Peters’ use of field recordings is always highly imaginative and effective (his Here·ings project, reviewed here, is a landmark of the genre), and this is especially so in this release, available free from Peters’ Bandcamp page. While the first track places environmental noises and fascinating animal sounds above a low drone, the latter occupies a similar place to his Filtered Light (#4 in last year’s best albums list), a short but hypnotic lowercase work. Tim Exile’s adeptness at improvised electronica is unrivalled, and this 15-minute EP captures a brief glimpse of the imagination he brings to dance music. In a manner at times akin to Aaron Funk, Exile takes apart all kind of styles—drum ‘n’ bass, techno, as well as contemporary electronics—and fuses them together into this little series of mutated wonders. “Promo” and “Youtube Killed The Now Wave Star” are the standout tracks, but—without wishing to take anything away from this polished release—both these tracks sound even better in the slightly rough and ready live versions posted online: “Promo” can be watched here, “Youtube Killed The Now Wave Star” here; the man is clearly a genius. Another exponent of field recordings, Christopher McFall tends to enfold his sources into dark, dense slabs of sound that blur the distinction between nature and artifice. Created with Gears of Sand’s Ben Fleury-Steiner, this EP (available free here) is as intense as ever, the sounds of wind bringing an unsettling portentousness to the proceedings. Fleury-Steiner speaks of a desire “to bring out the beauty in all landscapes and natural phenomenon [sic] … however, disguised and dirtied they may be”, and to that end there’s no audible distinction between the “dirty” and “clean” of the title; they’re mingled together (aren’t they always in life? ), and the result is mesmeric and often rather poignant. Chubby Wolf was the solo side-project of Celer’s Danielle Baquet-Long, a project sadly curtailed by her untimely passing earlier this year. In some ways, her own work is more ascetic than that made with her husband Will (although Celer’s Sieline is not dissimilar), and this is, if anything, enhanced by the brief durations on this EP. Although there’s often quite a bit going on in them, the textures are generally simple, more concerned with a single, meditative state than flux or evolution; ebb and flow are the watchwords here, undulations upon which the listener can sit and be gently guided. As a posthumous gift from Will Long, Meandering Pupa can be downloaded free from the Chubby Wolf Bandcamp page. While Celer are at their best in longer durations, this 12-minute EP shows what they’re capable of in a more concise context. “Gaited Florets” is not merely the better of the two tracks, it is nothing less than one of the duo’s very finest creations, its warm, gently metallic texture being punctuated by pitch fragments that seem to be the offspring of a bell and a sine wave. More happens in its 6-minute span than seems possible, and every second of it is absolutely ravishing. While “Cantering In A Copper Dress” can’t really live up to such stark glory (indeed, it seems audibly to bask in the light of its neighbour), its drone is a gorgeously warm, rich concoction. Even more successful than McFall’s collaborative release above is this solo EP. Lasting a little over 20 minutes, its three tracks are themselves subdivided into smaller vignettes, all of which carry a singular weight that is impressive and even, at times, overwhelming. In every sense of the word, this is ‘heavy’ music, its low frequencies worrying the anecdotal field recordings that sit on the music’s surface. Its fabric of noises lies at the threshold of recognition; sounds are suggestive, allusive, redolent, but never reveal exactly what they are, and this makes for an enthralling listen. Steven Wilson’s latest small-scale offering is one of his most evocatively beautiful to date. 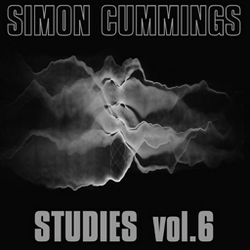 Both tracks seem alternate takes of a common idea, one that is rooted in voices; in some of Wilson’s most clearly stratified music, a soprano voice waxes and wanes above a shifting choir, the combination tainted at the edges by fringes of distortion and clipping, rendering it like an old photograph. The iambic structure serves to make the latter track especially intense, the voices emerging as if from profound depths, like a 21st century cathédrale engloutie; it’s Wilson at his best: sublime, captivating and very moving. Lars von Trier’s latest film Antichrist was one of—if not the—artistic highlight of the year for me; cinema is rarely so gripping, or indeed so gruelling as von Trier’s brilliant study of a couple’s descent, via grief, into madness. A film such as this was always going to need an equally extreme soundtrack, and there hasn’t been a more perfect marriage of avant-garde sight and sound since Tobe Hooper’s Texas Chain Saw Massacre. Von Trier worked with sound editor Kristian Eidnes Andersen to create the score, which was made solely from recordings of natural sounds (stones, leaves, wood) including internal microphones recording the more intimate workings of the human body. The result is jaw-dropping, an amazing sonic adventure into a terrifyingly claustrophobic landscape; the inclusion of a Handel aria (used at the start and end of the film) only serves to underpin how far from home the rest of the music has travelled. It’s an astonishing achievement, and the decision to release this soundtrack in such a short form (the entire release lasts a little under 17 minutes) is perfect, presenting the elements in the most highly concentrated way possible. Only available as a digital download (here or here), this is essential listening. 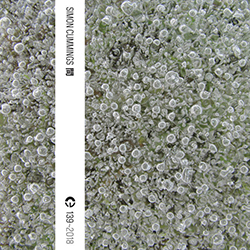 I recommend "Strathcona Variations" by Loscil. Anti-Spam Quiz: Lars von who?